Internet is the easiest way to access information. It provides positive contributions to individual and surroundings, in learning and information era. At this point the answers of the questions: ‘How do young people use internet and how much do they use internet for their education?’ come into prominence. In order to find the answers; a questionnaire prepared by resarchers and Young Internet Addiction Test- Short Form (YIAT-SF) was used on ‘Health Services Vocational High School’ students, in this study. 3.4 % of students were found to have internet addiction and the average internet usage was found to be 5 hours daily. When students were asked to enumerate the internet sites they use, the result was: social media, news sites, movie and series sites, educational and informational content sites, play sites, e-mail, shopping sites, and sexual content sites in order of usage preferance. While social media was preferred by 79.4% in the first place, educational content sites were determined to be preferred by 5.7% in the first place among others. The second most frequently used sites by students were movies and series (22.8%). Educational / informational content (20.2 %) sites were the fifth preferred sites in the preference order. Abdekhoda, M., Dehnad, A., Ghazi Mirsaeed, S.J.,& Zarea Gavgani, V. (2016). Factors influencing the adoption of E-learning in Tabriz University of Medical Sciences. Med J Islam Repub Iran, 24(30):457. Ahmed, O.H., Lee, H., & Struik, L.L. (2016). A picture tells a thousand words: A content analysis of concussion-related images online. Phys Ther Sport, 2016 Sep; 21:82-6. doi: 10.1016/j.ptsp.2016.03.001. Akbaba, S., & Altun, A. (2000). Bir eğitim aracı olarak internet. Milli Eğitim Dergisi, 147: 23-25. Alsuraihi, A.K., Almaqati, A.S., Abughanim, S.A., & Jastaniah, N.A. (2016). Use of social media in education among medical students in Saudi Arabia. Korean J Med Educ., 2016 Dec;28(4):343-354. Altun, A. (2003). Elektronik okuryazarlık. Milli Eğitim Dergisi,158, 1-9. Akkoyunlu B. (2002). Öğretmenlerin ınternet kullanımı ve bu konudaki öğretmen görüşleri. Hacettepe Üniversitesi Eğitim Fakültesi Dergisi 2002; 22: 1-8. Aslan, S. (2011). Akademisyenlerde internet bağımlılık düzeyleri ve buna bağlı oluşabilecek sağlık sorunları. Eğitim Fakültesi Dergisi, 22: 1-8. Bianchini, V., Cecilia, M.R., Roncone, R., & Cofini, V. (2017). Prevalence and factors associated with problematic internet use: an italian survey among L’Aquila students. Riv Psichiatr., 52 (2), 90-93. Cash, H., Rae, C.D., Steel, A.H., & Winkler, A. (2012). Internet Addiction: A Brief Summary of Research and Practice. Curr Psychiatry Rev. 2012 Nov; 8(4): 292–298. doi: 10.2174/157340012803520513. Chen, Q., Quan, X., Lu, H., Fei, P., & Li, M. (2015). Comparison of the personality and other psychological factors of students with internet addictionwho do and do not have associated social dysfunction. Shanghai Arch Psychiatry. 2015 Feb 25;27(1):36-41. doi: 10.11919/j.issn.1002-0829.214129. Ching, S.M., Hamidin, A., Vasudevan, R., Sazlyna, M.S., Wan Aliaa, W.S., & et al. (2017). Prevalence and factors associated with internet addiction among medical students - A cross-sectional study in Malaysia. Med J Malaysia. 2017 Feb; 72(1):7-11. Derbyshire, K.L., Lust, K.A., Schreiber, L.R., Odlaug, B.L., Christenson, G.A., Golden, D.J., & Grant, J,E. (2013). Problematic Internet use and associated risks in a college sample. Compr Psychiatry, Jul;54(5):415-22. doi: 10.1016/j.comppsych.2012.11.003. Erdoğa, Y., Erkoç, M.F., & Sakar, Ç. (2007). Kadıköy ilçesindeki ilk, orta ve yüksek öğretim kurumlarındaki bilgisayar laboratuarlarının OSHA ergonomik kriterlerine göre incelenmesi. Elektronik Sosyal Bilimler Dergisi, 6(20), 83–94. Ergün, M. (1998). İnternet destekli eğitim. Afyon Kocatepe Üniversitesi Sosyal Bilimler Dergisi, 1,1-10. Freund, O., Reychav, I., McHaney, R., Goland, E., & Azuri, J. (2017). The ability of older adults to use customized online medical databases to improve their health-related knowledge. Int J Med Inform., Jun;102:1-11. doi: 10.1016/j.ijmedinf.2017.02.012. Han, P., Wang, P., Lin, Q., Tian, Y., Gao, F., & Chen, Y. (2017). Reciprocal relationship between internet addiction and network-related maladaptive cognition among chinese college freshmen: a longitudinal cross-lagged analysis. Front Psychol., p. 1047. Kutlu, M., Savcı M., Demir, Y., & Aysan, F. (2016). Young internet bağımlılığı testi kısa formunun türkçe uyarlaması: üniversite öğrencileri ve ergenlerde geçerlilik ve güvenilirlik çalışması. Anadolu Psikiyatri Dergisi, 17, 69-76. Nath, K., Naskar, S.,Victor, R. (2016). 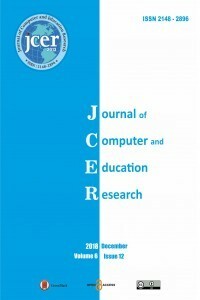 A cross-sectional study on the prevalence, risk factors, and ill effects of internet addiction among medical students in northeastern india. Prim Care Companion CNS Disord., 18 (2). Naseri L, Mohamadi J, Sayehmiri K, & Azizpoor Y. (2015). Perceived social support, self-esteem, and ınternet addiction among students of al-zahra university, tehran, iran. Iran J Psychiatry Behav Sci., 9(3), e421. doi: 10.17795/ijpbs-421. Niven, A., Fawkner, S., Knowles, A.M., Henretty, J., Stephenson, C. (2009). Social physique anxiety and physical activity in early adolescent girls: the influence of maturation and physical activity motives. J Sports Sci.,27 (3), 299-305. Pawlikowski, M., Altstötter-Gleich,C., & Brand, M. (2013). Validation and psychometric properties of a short version of young’s internet addiction test. Computers in Human Behavior, 29(3), 1212–1223. Prasad, M., Patthi, B., Singla, A., Gupta, R., Saha, S., Kumar, J.K., Malhi, R. & Pandita, V. (2017). Nomophobia: a cross-sectional study to assess mobile phone usage among dental students. J Clin Diagn Res., 11(2), ZC34-ZC39. Shin, L.Y. (2014). A comparative study of mobile internet usage between the u.s. and korea. Journal of European Psychology Students, 46-55. Tao, Z., Wu, G., & Wang, Z. (2016). The relationship between high residential density in student dormitories and anxiety, binge eating and Internet addiction: a study of chinese college students. Springerplus., 5(1), 1579. Young, K.S. (1998). Internet addiction: The emergence of a new clinical disorder. CyberPsychology & Behavior, 1, 3.